Disclosing all known facts that materially affect the value of residential real property and are not readily observable. A breach of any of these obligations can result in a lawsuit. Just recently, two buyers brought a suit against a real estate agent and the broker, alleging breach of duty and negligence. The clients asserted that the agent and broker failed to exercise reasonable care when they communicated important financial information to the buyers. According to the suit, the defendants failed to employ customarily accepted best practices to protect the buyers’ confidential and sensitive financial information. As a result, the buyers wound up wiring a large amount of cash to a fraudulent bank account. It is vitally important that as an agent, you review every aspect of the contract with a lawyer to protect not just yourself, but your client, as well. If a clause or a term seems questionable, raise the issue with the lawyer. This will help reduce the possibility of future lawsuits. “Top Seven Real Estate Lawsuit Risks for Agents,” Cres Ins. 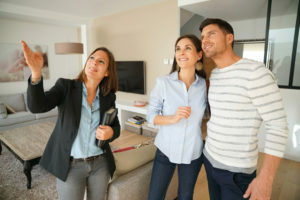 Servs., available at https://www.cresinsurance.com/top-seven-real-estate-lawsuit-risks-for-agents/ (last visited Mar. 25, 2019). Gonzales, J., “Orlando Real Estate Buyers Accuse Sellers of Breach of Duty,” Florida Record (Dec. 27, 2018), available at https://flarecord.com/stories/511688552-orlando-real-estate-buyers-accuse-sellers-of-breach-of-duty (last visited Mar. 25, 2019).